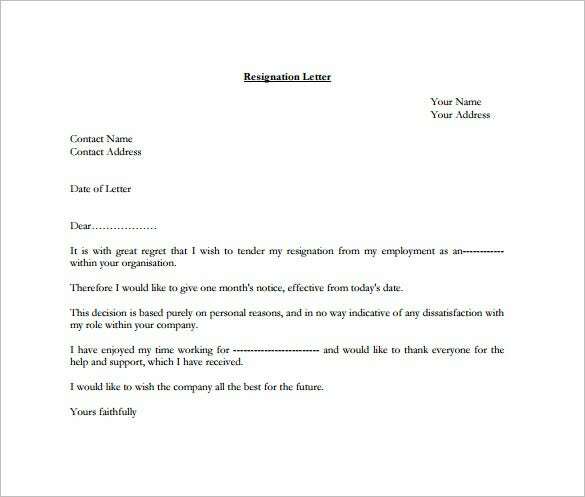 Sending a notice of resignation letter to your boss has a number of advantages. 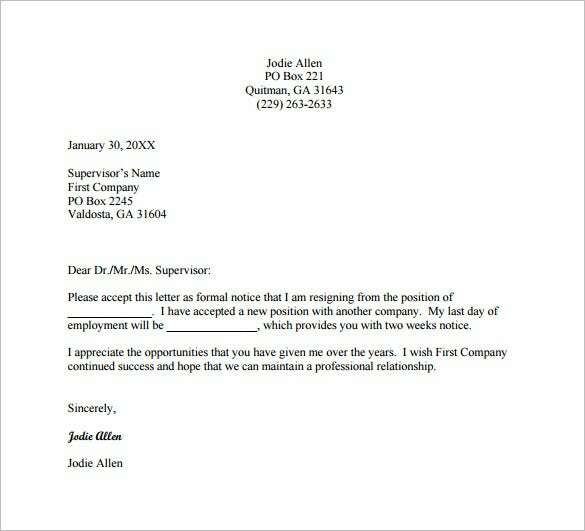 Even if you think that your boss will not take this serious, they will often want to know why you are making the decision to quit the job in question. 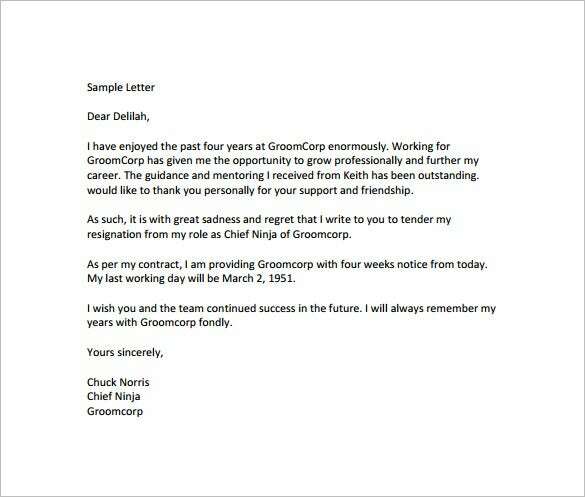 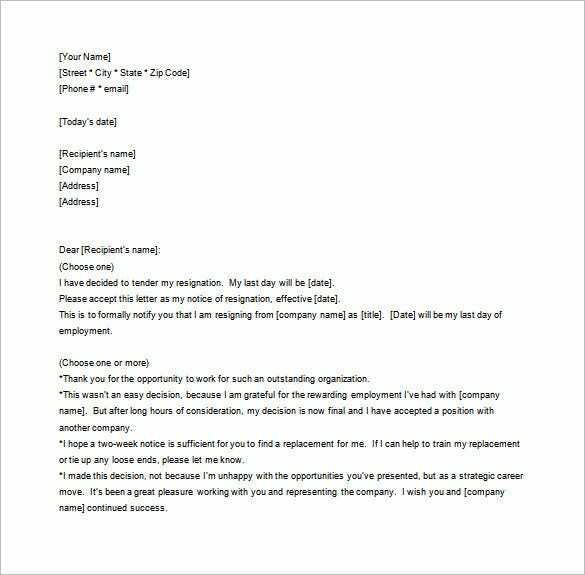 Some employers hate to see Email Resignation Letter Templates. 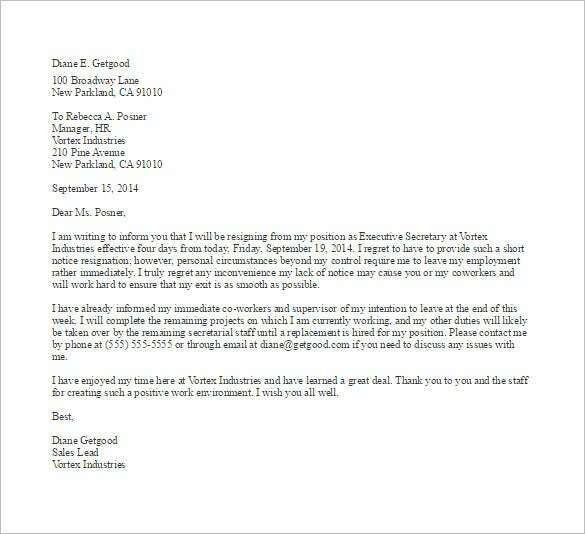 They will do the best they can to keep employees to stay, especially the most productive ones. 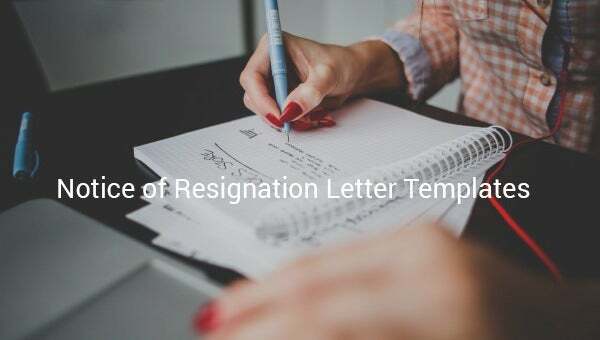 The 24 hours notice resignation letter template is a simple and comprehensive resignation letter example that is used to serve 24 hour notice period to the employer before resignation. 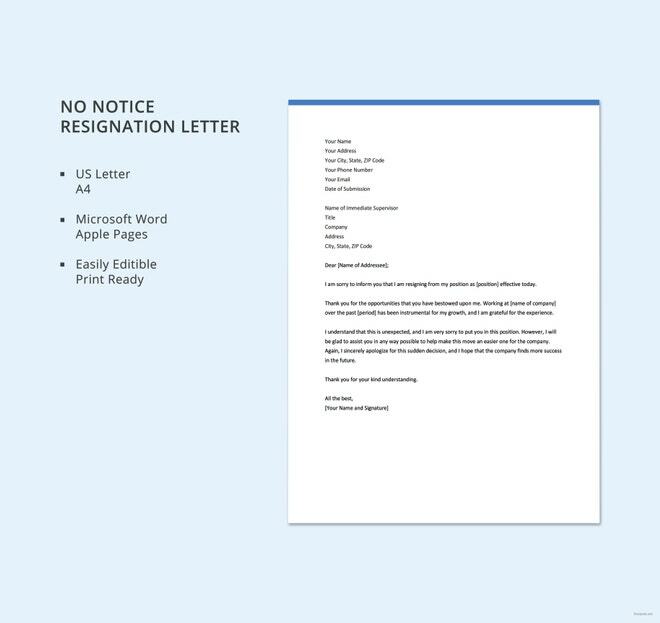 The 30 day notice of resignation letter template is an informative resignation letter template that helps and guides to create a perfect resignation letter template format by providing the first sentence of each paragraph and the reasons that can be used to ask for resignation. 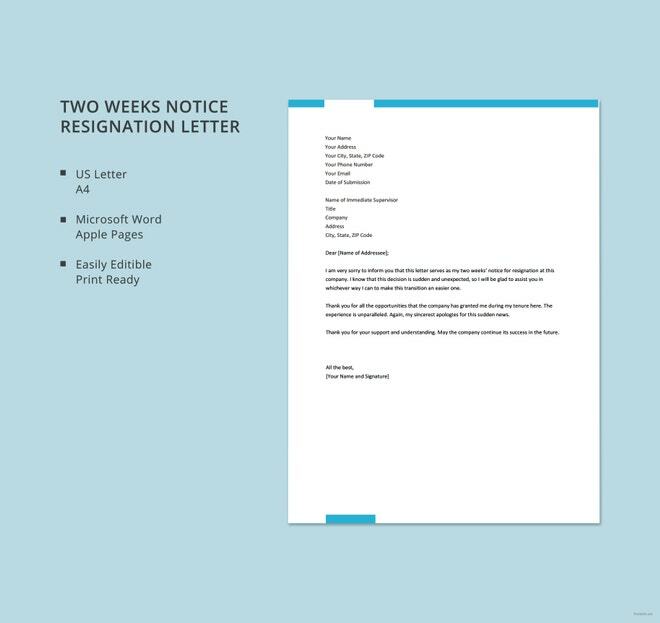 The free four week notice resignation letter template in PDF is a simple resignation letter template that serves a four week notice period for the employee before he or she resigns. 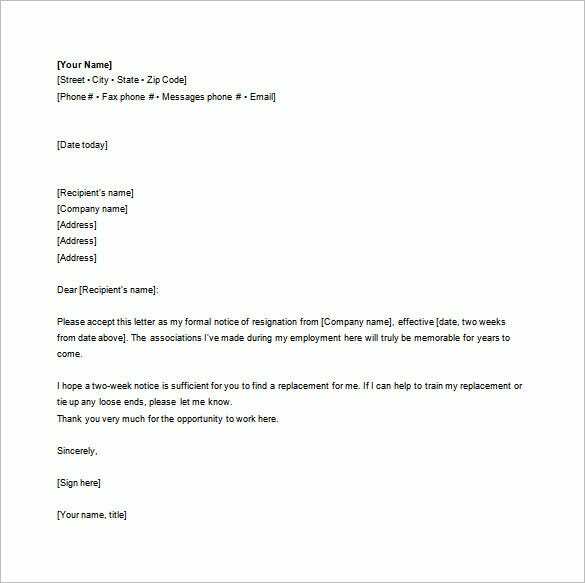 The sample two weeks notice resignation letter template in PDF is a simple resignation letter template that addresses the supervisor of the company to accept the resignation of the employee of the company. 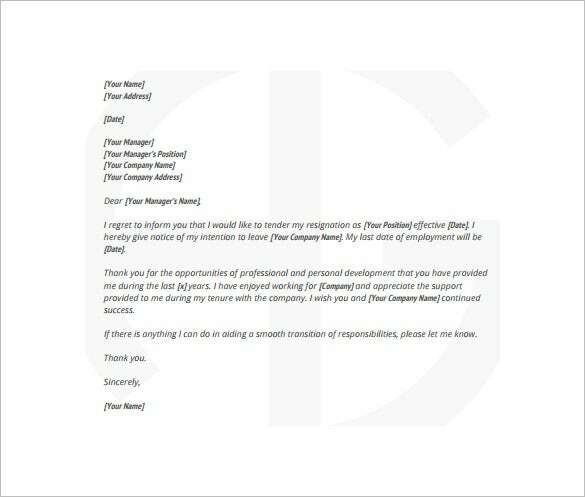 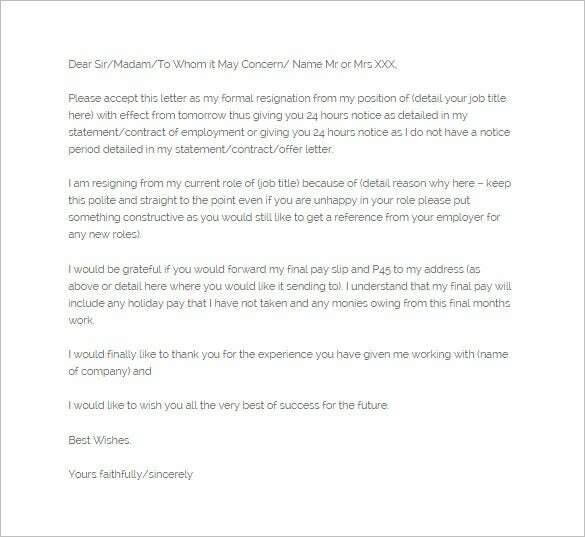 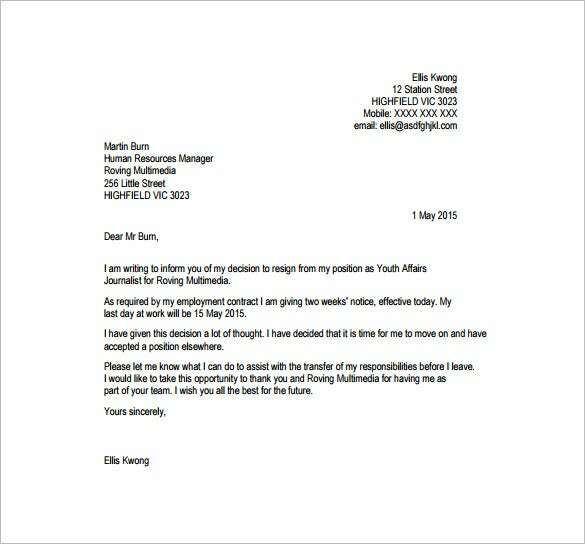 You may also see Resignation Letter With 30 Day Notice Templates. 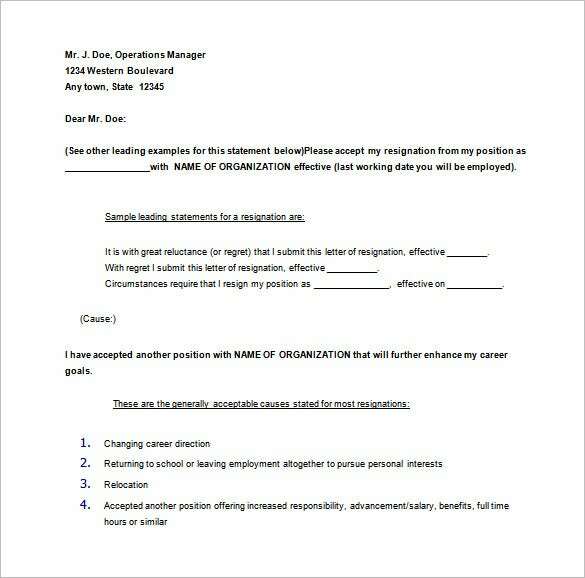 The notice send to employers also helps them to figure out what exactly went wrong at the company, giving them a clear eye opener that helps them make the necessary changes to make the company a better place for employees. 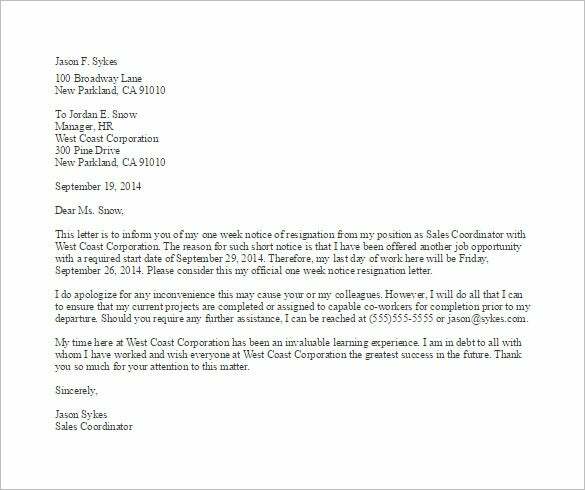 PDF, word or excel Resignation Letter Templates can help you write this letter quickly with ease.